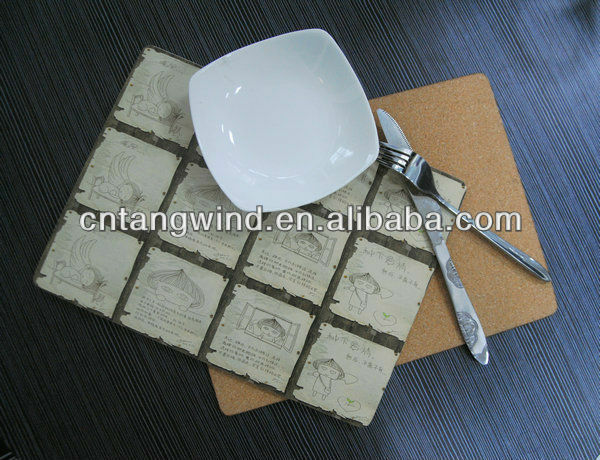 3.Coaster can be in custom size and any shape you want, such as square, round, heart shape, lovely pet shape,car shape, etc. It will be produced to be in your satisfactory. 5.Fit to be selling article in supermarket based on cheap price, economically. Soft PVC,Art Paper,Heavy density Cork,MDF board+Cork,EVA,Stainless steel,Acrylic,Bamboo/wooden coasters for your choice! 1><. 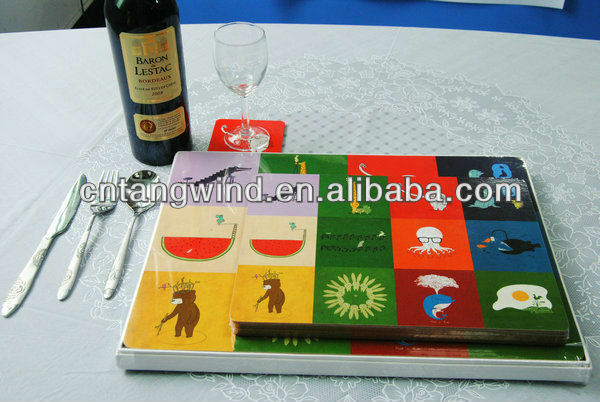 Materials: Soft PVC,Absorbent Paper,Heavy density Cork,MDF board+Cork,EVA,Stainless steel,Acrylic,Bamboo/wooden etc. 2><.Standard Shape:Round And Quadrate,other shapes available,you could custom your own shapes. 3><.Standard size:Ø100mm*H3mm,Ø90mm*H3mm,100mm*100mm*3mm,90mm*90mm*3mMm, other sizes available. 4><.Imprint Area:Full size.Double/Single size imprint.Imprint your logos and designs on coasters,2D or 3D effect available. 1).Any comments on price or goods, pls feel free. 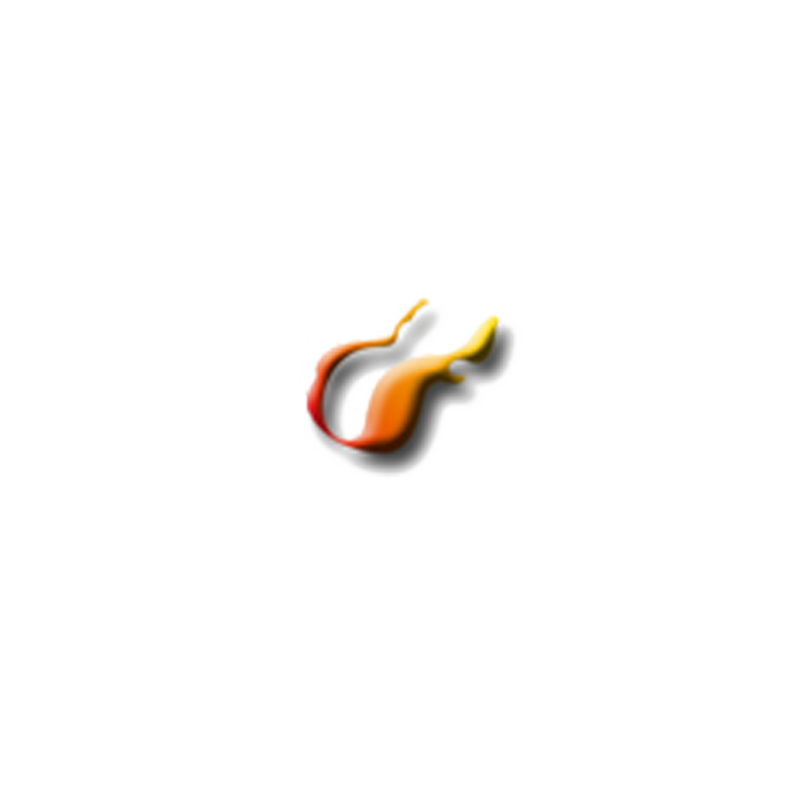 2) Our customer service department will deal with all your questions in your first email or phone in time. 3).We will send our new developments to our old customers as well as new ones. 4).If the products are eroded or mistaken made by us after you receive the goods,we will compensate it to you. 1).Welcome to visit our factory directly before your larger order. 3).You will see more than 50,000 different designs in our showroom. And shake hands with our ExcellentTeam.